SAN FRANCISCO, Jan. 15, 2019 -- Today Pantheon has been named a top-ten company in G2 Crowd’s Top 100 Software Products and Top 50 Products for Small Business 2019. 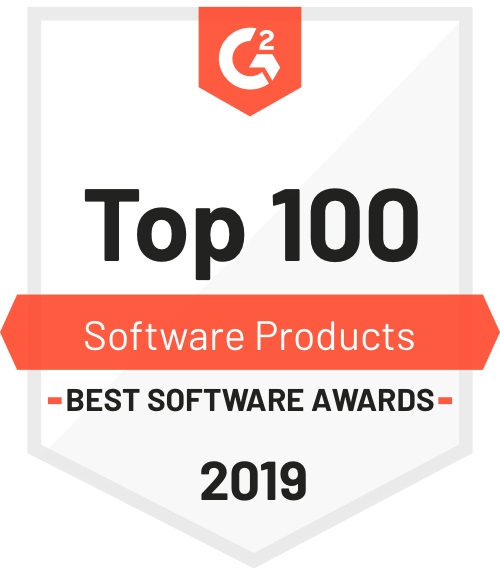 G2 Crowd’s Best Software Awards provide the definitive ranking of the best software companies and products worldwide, based on user reviews. Pantheon is the only WebOps (website operations) platform built from the ground up for agile teams. Pantheon is an alternative to traditional website hosting that leverages containerization to deliver performance, scale, and a suite of developer tools for Drupal and WordPress. Pantheon’s platform gives marketing and web teams superpowers by delivering managed services, website automation, and agile workflows that empower teams to iterate more quickly and conduct experiments faster. Persistent iteration and more experiments translate into better ideas and higher-quality digital experiences that users love. This list was compiled using data collected from over 270,000 authentic customer reviews written between January 1st and December 31st, 2018. In addition to the 100 products listed, Pantheon stands out among the 45,000 software companies hosted on the G2 Crowd platform - an achievement only made possible by the endorsement of real end-users. This recognition comes fresh after Pantheon’s recent #1 ranking in G2 Crowd’s Best Relationship category for Managed Web Hosting. Pantheon topped the list with a score of 9.07 out of 10. Pantheon is a WebOps platform for Drupal and WordPress, running more than 200,000 sites in the cloud and serving over 10 billion pageviews a month. Pantheon’s multitenant, container-based platform enables organizations to manage all of their websites from a single dashboard. Customers include Yale, Coach, United Nations, Quicken Loans, and IBM. For more information, visit pantheon.io.